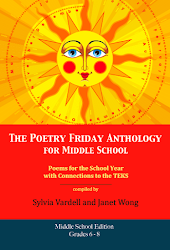 Welcome to the Poetry Friday party! 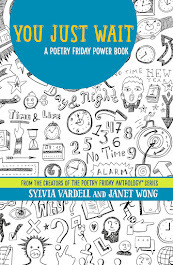 We’ll be gathering poems related to more than 100 holidays (like Halloween and July 4th), occasions (like graduation and the first day of school), and odd and interesting events (like Left Handers Day or National Yo-Yo Day). Our audience will be young children and the librarians, teachers, and families who care for them. Once again, we’ll provide “Take 5” activities for every poem. If you’re interested in contributing a poem, we’ll be sharing our guidelines in September; you can email us after Sept. 1 at info@pomelobooks if you'd like to know more then. Meanwhile, here’s just a sample of what we’re planning—a sample poem and Take 5! activities to accompany the poem. What’s the celebration? It’s National Dog Day! Coming up on August 26, we’ll be celebrating the 10th anniversary of this canine commemoration, first initiated in 2004 by the National Dog Day Foundation. 1. 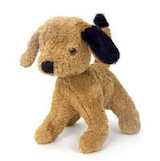 Before reading this poem aloud, display some picture books about dogs or a stuffed animal dog as a backdrop or prop. Read the poem aloud slowly and pause briefly between each stanza. 2. 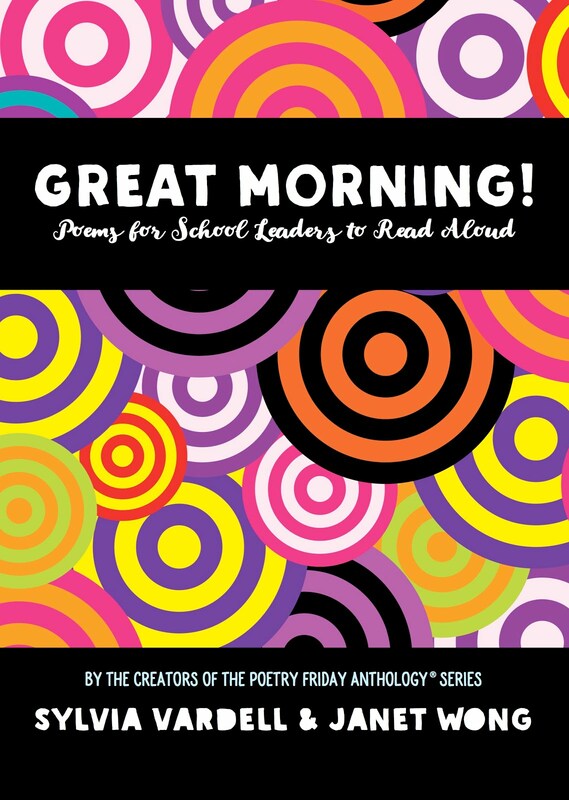 Share the poem again and invite children to chime in on the word, “Hooray” with zest and enthusiasm while you read the rest of the poem aloud. 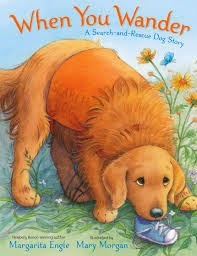 When You Wander: A Search-and-Rescue Dog Story by Margarita Engle and illustrated by Mary Morgan (Holt, 2013). Read the book aloud and talk about the recommended steps for what to do when lost. *Ashman, Linda. 2008. Stella, Unleashed. New York: Sterling. *Florian, Douglas. 2003. Bow Wow Meow Meow. San Diego: Harcourt. *Franco, Betsy. 2011. A Dazzling Display of Dogs. Berkeley, CA: Tricycle. *Rosen, Michael J. 2011. The Hound Dog’s Haiku and Other Poems for Dog Lovers. Somerville, MA: Candlewick. *Singer, Marilyn, 2012. Every Day's a Dog's Day: A Year in Poems. New York: Dial. Now let us know what you’re up to on this Poetry Friday in the COMMENTS section below. We’ll be rounding up throughout the day. First up is Buffy Silverman who has posted an original poem that appears in this month's Ladybug Magazine. Congratulations, Buffy! Check it out here. Laura has a poem from J. Patrick Lewis and George Ella Lyons' forthcoming collection, VOICES FROM THE MARCH ON WASHINGTON over at TeachingAuthors. Linda is featuring a poem from INNER CHIMES over at WriteTime. Monica has reviewed a rhyming picture book, BY WATER'S EDGE by Kay Barone, here. Irene is sharing some of wonderful Walter Dean Myers's poems here. Liz has an original poem about hummingbirds and hope here. Matt entertains us with an original tanka here. Laura is announcing a new series, "Summer Reads: Chapter & Verse," and is looking for guest bloggers to pair their favorite summer books with a poem. 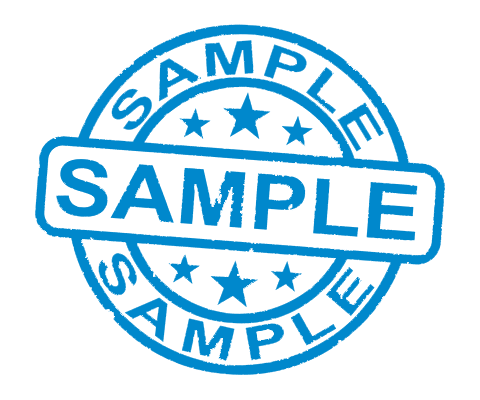 Her sample post pairs a historical YA with Edna St. Vincent Millay's "First Fig." Check it out! Michelle is wrapping up a month of tribute and parody poems and giving away a copy of Tamera Wissinger's THIS OLD BAND. Look for it! BJ has an original fractured-fairytale poem, illustrated by the wonderful Julie Rowan-Zoch. Clever! Carol is setting the stage for her new gallery of artistic expressions with a poem based on two photos of driftwood. Interesting! Tabatha is featuring a John Keats poem today. Mary Lee's summer travels have led her to this Journey poem. Diane has a Sketchbook Project poem called "Shadows" from the point of view of a young girl millworker over at Random Noodling. She's also featuring a fun poem, "Potato," by Jane Kenyon at Kurious Kitty. Catherine bravely shares an original poem about things gone wrong while the husband is away here. Kate is talking about how she uses Poetry Friday in her third grade classroom complete with a student poem. Margaret has a Summer Poem Swap gift from Donna Smith posted today. Donna shares an original poem, "Sea Memories," along with pictures here. Keri has an original poem about butterflies up today. Check out "Ozymandias" by Percy Bysshe Shelley over at Bildungsroman. Catherine is sharing E. L. Aveline's poem, "Flowers of the Sea" here. Kelly has a post on putting together a poetry chapbook over here. Bridget is back with an original poem about her dog's favorite past-time, chasing lizards. Check out "Endless Game of Chase." Janet is celebrating National Day of the Cowboy (Sat., July 26, 2014) with David L. Harrison's poem, "Cowboys: Voices in the Western Wind" here. Crystal has an original poem over at Reading Through Life. Heidi has three insta-haiku from her family vacation here. Fats Suela is sharing a ten-year-old refugee's vision of peace from I Dream of Peace: Images of War by Children of Former Yugoslavia found here. Karen is featuring Wendell Berry today. Tricia has a gem by Henry Wadsworth Longfellow for us here. And Joy has a poem entitled "Storm" here. One more: Lorie Ann has a poem, "Nearly Fifty" complete with fun photo here! I think that's everybody. I'll check back and add any others who join us. Meanwhile, happy Poetry Friday, everyone. Thanks for stopping by! 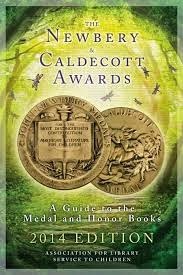 During my recent trip to Las Vegas for the American Library Association conference, I stopped by the ALA Bookstore to look for the latest installment of The Newbery & Caldecott Awards: A Guide to the Medal and Honor Books (2014 Edition) just published by ALA. Why? Because I wrote the opening essay for this guide! 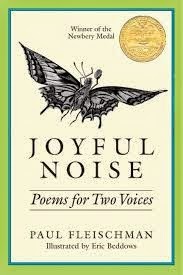 It is hard to believe that 25 years have passed since Paul Fleischman’s book, Joyful Noise: Poems for Two Voices was published and then won the Newbery medal in 1989. Kirkus Reviews called it, “A splendid collection of poems in many moods…. 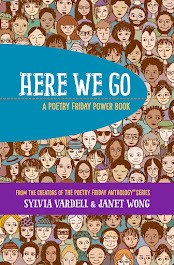 (noting) Vivid language, strong images, and the masterful use of two voices in musical duet make this an excellent choice for reading aloud.” This gem of poems for choral reading went on to be included in School Library Journal’s list of “100 Best Books of the Century,” too. It seems like a good moment to pause and examine where poetry for young people has been in the intervening years. 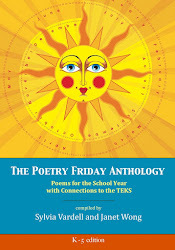 The last 25 years have given us a whole new generation of poets writing for young people including Douglas Florian, Bobbi Katz, Joyce Sidman, J. Patrick Lewis, Kristine O’Connell George, Janet Wong, Pat Mora, David L. Harrison, Helen Frost, Nikki Grimes, Margarita Engle, Jen Bryant, Laura Purdie Salas, and many more who have emerged since the publication of Joyful Noise. We have seen the addition of new awards for poetry for children established by Lee Bennett Hopkins for poetry books in 1993 and for new poets in 1995, by Bank Street College (the Claudia Lewis Poetry Award in 1998), and by the Poetry Foundation (the Children’s Poet Laureate in 2006). 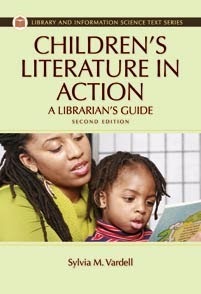 The Association of Library Service to Children (ALSC) began featuring the annual Poetry Blast with poets reading from their works at the ALA annual conference in 2004 and the National Council of Teachers of English (NCTE) initiated the annual “Poetry Notables for Children” list in 2006 The celebration of National Poetry Month (in April) has caught on in schools and libraries across the country since it was initiated in 1996. We have seen the rise of the novel in verse and the fall of the multi-poet anthology. 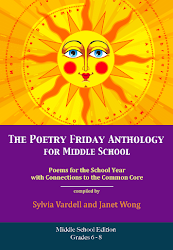 Now poets have websites full of kid-friendly resources, many blogs and books showcase weekly “Poetry Friday” sharing, and the CYBILS award celebrates poetry (among other categories) selected by children’s literature-focused bloggers. Plus poetry for children now makes its appearance as downloadable audiofiles and as e-books and apps for cell phones and e-tablets. But first, let’s examine our poetry past. (For a “Timeline of the History of Children’s Poetry” look for The Poetry Teacher’s Book of Lists.) .... The works of these great names are still worth reading and sharing. In fact, these poets are new names for any child who has not yet encountered their poetry. 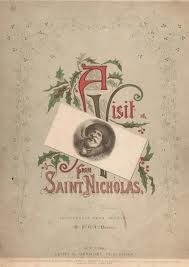 In fact, poetry has a special advantage in achieving timelessness—consider “A Visit from St. Nicholas” also known as "The Night Before Christmas" first published anonymously in 1823 and generally attributed to Clement Clark Moore. It is widely considered the best-known American poem of all time. Poetry has “legs” and can often maintain its appeal across several generations. Let’s consider some of the major poetry milestones along the way over the last 25 years. Humor found a home in the poetry of newcomer Douglas Florian with the publication of his first book of poems for children, Monster Motel in 1993. Like Karla Kuskin or Shel Silverstein, Florian created the illustrations that accompany his poems, via paintings and collages. Many excellent and popular Florian picture book poetry collections followed about animals and the natural world, as well as his longer collections of pun-filled humorous poetry, Bing Bang Boing (1994) and Laugheteria (1999), illustrated with pen and ink sketches.... Both poets excel in the use of puns and wordplay, like Jack Prelutsky and Shel Silverstein before them, and laid the groundwork for other humorous poets that followed later such as Adam Rex, Robert Weinstock, Jon Agee, Bob Raczca, Brod Bagert, Alan Katz, Susan Katz, Carol Diggory Shields, and Kalli Dakos. These beautiful and groundbreaking works heralded the arrival of many more distinctive poetic voices from the cultures in the U.S. and beyond including Charles R. Smith Jr., Carole Boston Weatherford, Hope Anita Smith, Joyce Lee Wong, and Guadalupe Garcia McCall. 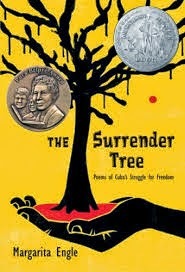 Margarita Engle burst onto the scene only seven years ago and has already garnered multiple Pura Belpre recognitions and a Newbery honor distinction for her novel in verse, The Surrender Tree: Poems of Cuba's Struggle for Freedom. Her work is a unique amalgamation of spare and powerful free verse, unheralded historical subjects, vividly realized settings, and multiple points of view. She fuses history, poetry, and biography to tell authentic stories taken from Cuba’s rich past. The novel in verse form emerged as a very strong poetry trend with great appeal to young readers during the 1990s. Although it had been around for awhile (some say as far back as Homer’s Odyssey), one could argue that Karen Hesse’s Out of the Dust (1997) put the verse novel on the poetry map in a big way as it won the Newbery medal. 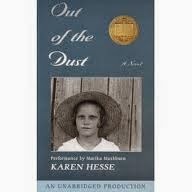 At the time, Publishers’ Weekly called it a “novel, written in stanza form,” School Library Journal described it as “prose-poetry,” and Kirkus labeled it a “poem/novel” as Hesse paints a heart-breaking picture of life during the Dust Bowl years.... One might even argue that the 2013 Newbery winner, The One and Only Ivan by Katherine Applegate, was a work of poetry. Either way, it’s a tender story beautifully rendered, spare and thoughtful, written by a gorilla of a writer. 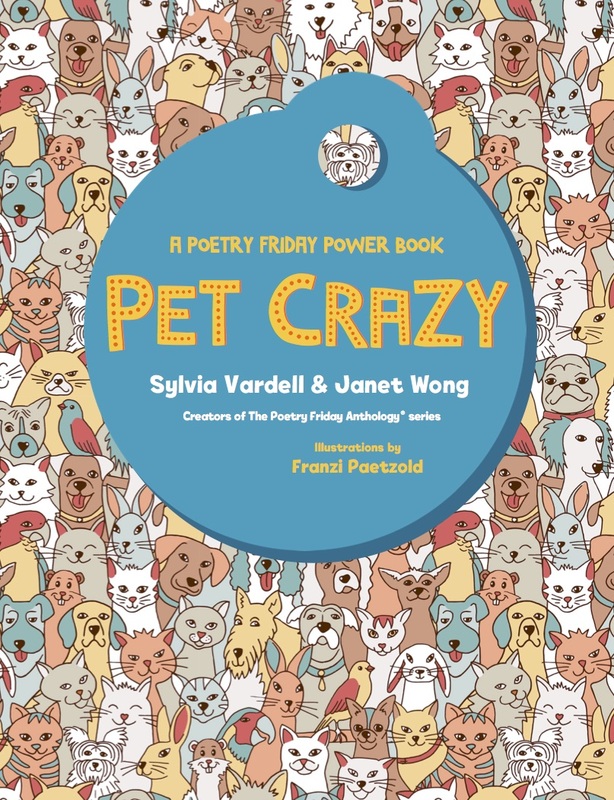 Other poets who have created novels in verse well suited to the tween audience include Jen Bryant, Andrea Cheng, Helen Frost, Nikki Grimes, Eileen Spinelli, Robert Paul Weston, and Tracie Vaughn Zimmer. The best verse novels are built on poems that are often lovely stand-alone works of art. A narrative unfolds poem by poem, frequently with multiple points of view and in colloquial language. This format is wooing many middle grade children both to poetry and to reading in general—a promising trend. During this first decade of the 2000s, Joyce Sidman entered the poetry scene garnering many awards for her work culminating in a Newbery honor for the third in her eco-poetry trilogy, Dark Emperor and Other Poems of the Night (2010), which followed Song of the Water Boatman and Other Pond Poems (2005) and Butterfly Eyes and Other Secrets of the Meadow (2006). 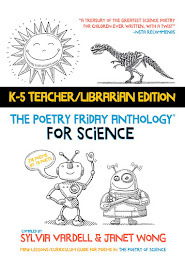 Booklist reviewer Hazel Rochman noted that Sidman “combines lyrical poetry and compelling art with science concepts” and Margaret Bush (School Library Journal) observed that Sidman’s work “invites lingering enjoyment for nature and poetry fans.” Joyce Sidman is also the most recent recipient of the NCTE Excellence in Poetry Award for her entire body of work. Most of the major awards that recognize poetry for young people were also established within the last 25 years. 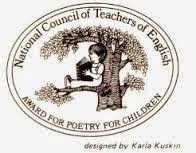 One exception: The National Council of Teachers of English Award for Excellence in Poetry was first founded in 1977 and presented to 17 poets thus far, many of whom are profiled at NoWaterRiver.com. Next, an award for an emerging poet, the Lee Bennett Hopkins/International Reading Association Promising Poet Award was established in 1995 and recipients have included Deborah Chandra, Kristine O’Connell George, Craig Crist-Evans, Lindsay Lee Johnson, Joyce Lee Wong, Gregory Neri, and Guadalupe Garcia McCall. In addition, a single book of poetry is recognized by three separate awards: the Lee Bennett Hopkins/Pennsylvania State University Award established in 1993, the Bank Street College of Education/Claudia Lewis Award established in 1998, and The Lion and the Unicorn Award for Excellence in North American Poetry established in 2005, each with a slightly different focus. 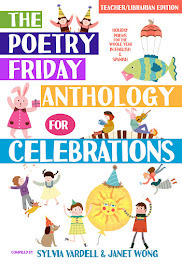 In 2006, the Poetry Foundation established the Children’s Poet Laureate to raise awareness of the fact that children have a natural receptivity to poetry and are its most appreciative audience, especially when poems are written specifically for them. Recipients thus far are Jack Prelutsky, 2006; Mary Ann Hoberman, 2008; J. Patrick Lewis, 2011 and Kenn Nesbitt, 2013. In just 25 years, the field of poetry for children has been transformed by new voices, new styles, and new formats. But those established names haven’t stopped creating either.... Lee Bennett Hopkins, 2009 NCTE Poetry Award winner, continues to produce award-winning works of poetry such as his own City I Love (2009), as well as nearly 40 anthologies in the last 20 years, including Days to Celebrate: A Full Year of Poetry, People, Holidays, History, Fascinating Facts, and More (2005) and Sharing the Seasons (2010). He is even in the Guinness Book of World Records for creating the most children’s poetry anthologies ever! Poetry as a form of literature has particular crossover appeal with poems easily readable for the young child, but still meaningful to us as we grow older. Poems like “The Night Before Christmas,” “Jabberwocky,” and “Dreams,” for example, speak to both children and teens and to all of us throughout our lives. Many of the first books published for children in English were works of poetry including John Newbery’s collection of English rhymes, Mother Goose's Melody, or, Sonnets for the Cradle (circa 1765). And various Mother Goose collections have received Caldecott distinctions multiple times. 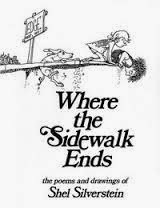 In contemporary children’s book publishing, three of Shel Silverstein’s poetry collections are among the top 100 bestselling children’s book of all time: Where the Sidewalk Ends, A Light in the Attic, and Falling Up. Clearly, poetry has an important place in the world of literature for young people. It’s exciting to see the genre of poetry grow and expand in all these different directions, exploring possibilities of poetic form, hybrids with other genres, and a creative use of design, visuals, and media. The key is in keeping our poetry collections varied, current, and in use. 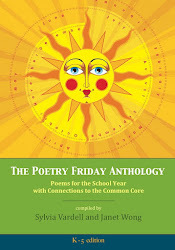 As Wilson and Kutiper reported (1994, 278), “one elementary school library media specialist noted an increase in poetry circulation after sharing a single poem with students each week as they entered the library.” With well-stocked shelves brimming with the poetry gems of the last 25 years and a bit of poetry promotion (in April and beyond), young people will find something to enjoy and cherish for a lifetime. The bibliography for this essay includes 85 books of poetry for young people! I'm so glad I got this opportunity to showcase the power of poetry for young readers and I hope they'll keep poetry on the radar the next time committees make decisions about Newbery and Caldecott awards! Don't forget to visit Tabatha's place at The Opposite of Indifference for the rest of this week's Poetry Friday posts! And please come back here next week when Janet Wong and I will be hosting the Poetry Friday gathering. We have a big announcement to make! As you've probably heard, the great Walter Dean Myers passed away recently and his impressive and significant body of work has been recognized far and wide-- as it should be. His mastery of every genre was amazing and I would like to take a moment to highlight his POETRY for young people, in particular. I was fortunate enough to feature him in my "Poetry Round Up" at the annual conference of the Texas Library Association in 2005. Hearing a poet read his/her own work aloud is the ultimate treat and Walter's reading was such a perfect example. His deep, resonant voice sticks with you. Perhaps because of his own struggle with spoken speech, his pacing in his poetry is so thoughtful and meaningful. Just look at these many, wonderful examples. Although much of Walter's work is poetic and rhythmic, I believe his poetry first emerged in Brown Angels which paired his words with his collection of antique photographs of children. More followed with Glorious Angels and Angel to Angel, a beautiful trilogy. Then came the stunning picture poetry books that showcase Walter's poetry alongside the powerful art created by his son, Christopher Myers, especially Harlem, Jazz, and We Are America. Myers, Walter Dean. 1993. Brown Angels: An Album of Pictures and Verse. New York: HarperCollins. Myers, Walter Dean. 1998. Angel to Angel. New York: HarperCollins. Myers, Walter Dean. 2004. Here in Harlem: Poems in Many Voices. New York: Holiday House. Myers, Walter Dean. 2009. Amiri and Odette: A Love Story. Ill. by Javaka Steptoe. New York: Scholastic. Myers, Walter Dean. 2009. Looking Like Me. Ill. by Chrisopher Myers. New York: Egmont. Myers, Walter Dean. 2011. We are America: A Tribute from the Heart. Ill. by Christopher Myers. New York: HarperCollins. Here, Walter and his son, Christopher, talk about the creation of his last work of poetry, We are America. I think a fitting tribute to the wonderful Walter Dean Myers can be found in his own work. Here's "Good-bye to Old Bob Johnson" from Jazz, based on the traditional New Orleans funeral parade. Find the Odyssey winning audiobook adaptation of this book and listen to this heartbreakingly beautiful version of this poem, complete with musical soundtrack. RIP, Walter Dean Myers. Thank you for sharing your gifts with us. For more poetry moments this Poetry Friday, head over to Linda's place at WriteTime.